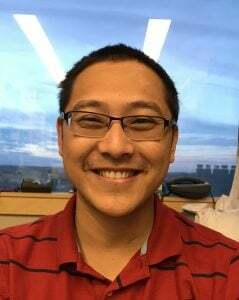 Dr. Xiaobo Mao is Assistant Professor of Neurology and Institute for Cell Engineering of The Johns Hopkins University School of Medicine. His research interests include amyloid structures and α-synuclein transmission mechanisms. Prior to his current position, he undertook postdoctoral training with Ted and Valina Dawson at the Johns Hopkins University. Dr. Mao is an awardee of the Michael J Fox Foundation Target Advancement and NIH/NIA K01 award. Parkinson’s disease (PD) is characterized primarily by major loss of nigrostriatal dopaminergic (DA) neurons, causing serious movement disability and cognitive impairment in those afflicted. The successful isolation of human-induced pluripotent cells (hiPSC) offers unprecedented opportunities for DA neuron replacement therapy, PD modeling and drug discovery. Strikingly, alpha-synuclein (α-synuclein) as the key protein in Lewy bodies spreads from affected areas to non-affected regions or grafted neurons. The transmission mechanism is not very clear, until recently, we identified that lymphocyte-activation gene 3 (LAG3) is a receptor that internalizes pathological α-synuclein preformed fibrils (PFF) in primary neuronal and mouse models. By taking advantage of our novel finding on the spreading mechanism in mouse models, this project will study the mechanism of spread and related therapy for PD in hiPSC derived neurons (hiPSC-neurons). This research should enable us to gain an in-depth understanding of α-synuclein transmission, in particular, to overcome two limitations: i) There is no evidence of α-synuclein transmission in hiPSC-neurons; ii) There are no LAG3 inhibitors that can block α-synuclein transmission. This study will model synucleinopathies in hiPSC-neuron and the transmission mechanism via LAG3, and identify LAG3 inhibitors in α-synuclein PFF models. The modeling of α-synucleinopathies in hiPSC-neurons will greatly enhance the understanding of the pathogenesis of PD. Furthermore, the confirmation of α-synuclein spread mechanism through LAG3 in human neurons will strengthen the confidence to explore therapeutic strategies. Screening for LAG3 inhibitors will be one of the exciting therapeutic methods to block α-synuclein transmission. If LAG3 inhibitors have efficacy in vitro, it will further prove the roles of LAG3 as an α-synuclein transmission receptor in vivo and as a promising drug target.